In the long ago every infant classroom had a nature table. 'Nature walks' were a thing. We went on them most weeks through the school grounds, looking for signs of Spring, or Autumn. 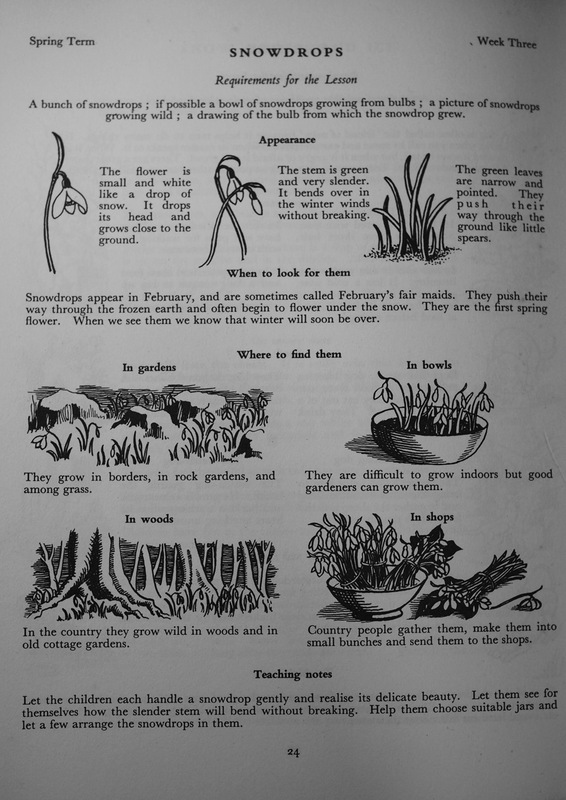 Most of the old teaching guides I possess are full of images from the natural world. 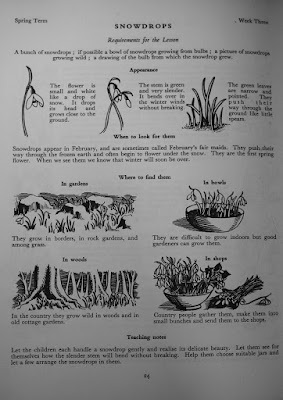 I would be very happy if my children had this kind of lesson at school, and I'd also be happy if they saw illustrations of this quality instead of endless clip-art.